ARLINGTON, Va.-- The National Hispanic Corporate Council announced the development of a leadership training program for mid-level Hispanic managers working in Fortune 1000 companies. The NHCC Corporate Executive Development Program (CEDP) will offer training and networking opportunities to high-potential Hispanic managers seeking their first executive management role in association with SMU’s Cox business school. 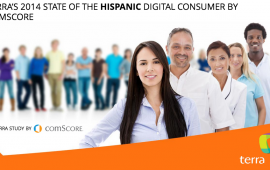 Although the U.S. Hispanic market – 47 million strong – represents the nation’s largest ethnic minority, gaps in representation continue to exist within U.S. companies. According to a recent survey by the Hispanic Association for Corporate Responsibility, Hispanic managers are significantly underrepresented in executive and senior executive positions. In addition, an analysis by the Human Resource consulting firm PDI suggests a disparity in the upward mobility to higher level executive positions between non-Hispanic managers and their Hispanic peers.